Incorporated in the year 1992, at Pune (Maharashtra, India), we, “M/s. Samiksha Packings”, are the renowned Manufacturer and Supplier of a comprehensive range of Crates, Boxes, Pallets, & Packing Cases. 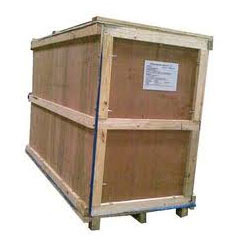 Our product range includes Wooden Crate, Tick Crate, Wooden Box etc. These products are manufactured using the best quality raw material and the most advanced techniques under the supervision of veteran professionals. The offered range is designed with high precision in order to meet the international quality standards. Our offered range is highly appreciated by our esteemed clients for its high durability, compact design, sturdiness, attractive style, high comfort and optimum finish. In addition to this, we are offering our range for the clients at market leading prices.